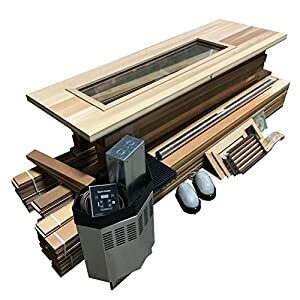 Almost Heaven Saunas 4-Person Pinnacle Barrel Sauna (Rustic Cedar) | Steam Shower - Bathroom Showers- Infrared Sauna - from SteamShowerDealer.com | SteamShowerDealer is your #1 source to buy designer and comfortable steam showers, steam spas and Infrared Saunas and accessories at discounted prices. 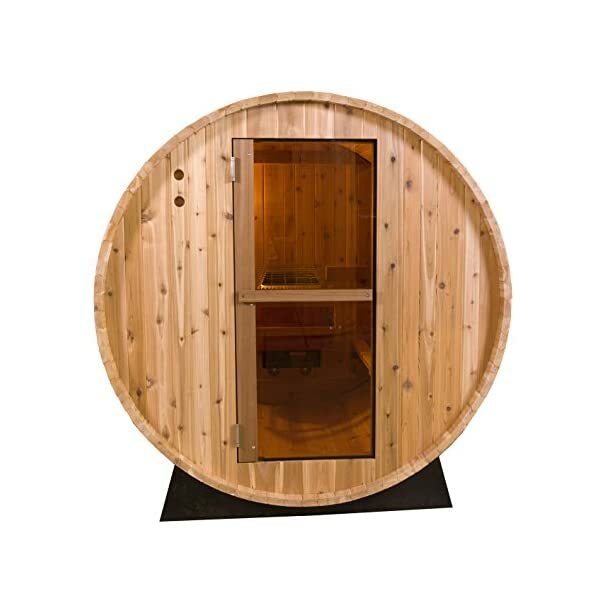 The high quality Almost Heaven barrel sauna was once developed over thirty years ago and was once the primary of the Almost Heaven line. 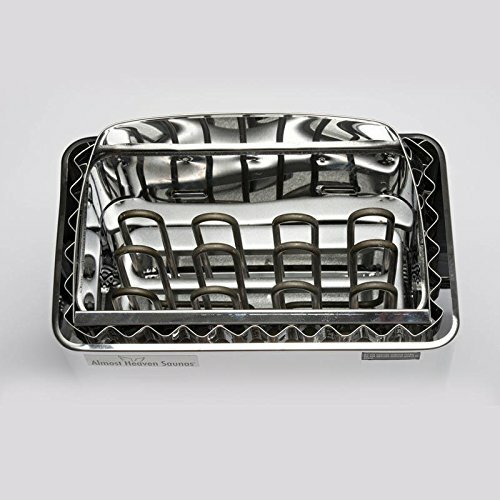 The pleasing barrel shape is both stylish and functional, providing maximum usable space at the same time as minimizing excess cubic feet. 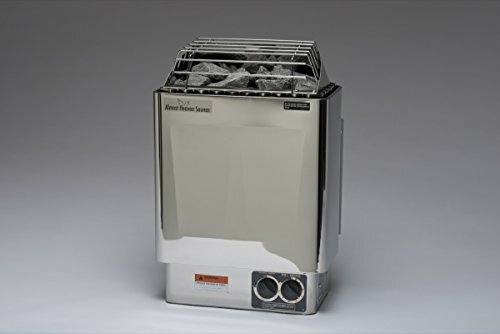 The fewer cubic feet of air, the quicker your room will heat. 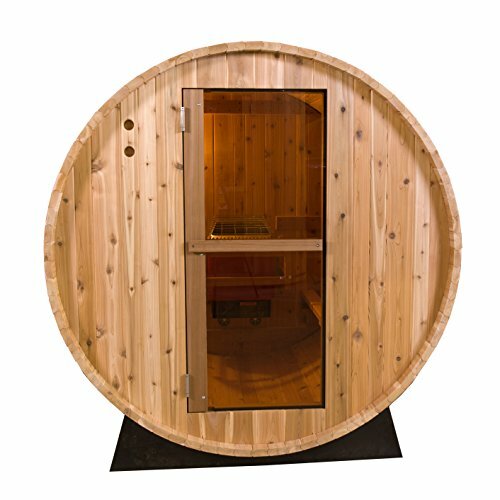 As well as, our Almost Heaven Barrel Sauna maximizes seating space by utilizing opposing softwood benches that run the entire length of the room. 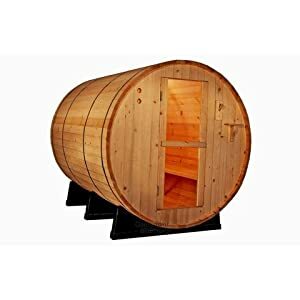 Also, as an outside sauna, the Barrel Sauna is ideal for the backyard or garden environment. 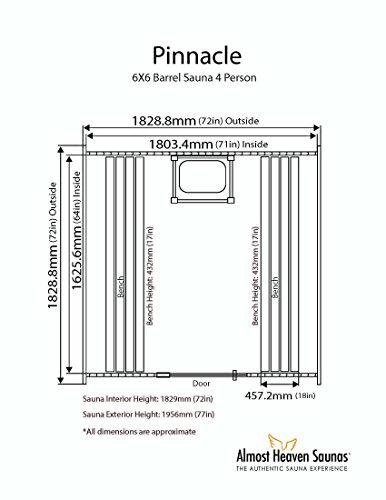 The Almost Heaven Pinnacle Barrel Sauna is a barrel kit that comes to you partially assembled. Assembly may also be accomplished in only some hours and is really easy to do. 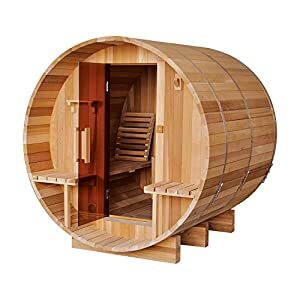 The unit is mounted on two molded polymer cradles, which might be impervious to breakdown by the weather, allowing you to position your Barrel Sauna right at the ground if you select. 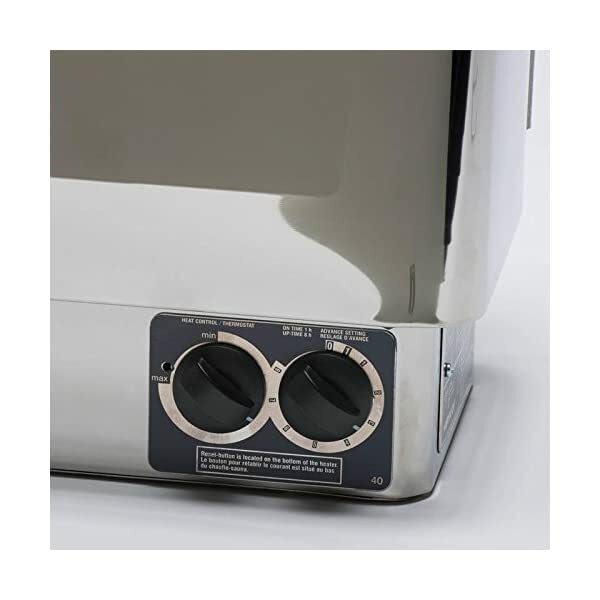 There are also mounting holes molded into the cradles allowing you to anchor the sauna to a deck or patio should you prefer a safe installation. Western cedar is our lumber of choice, and this rustic model has tight knots that give the sauna a rustic feel. 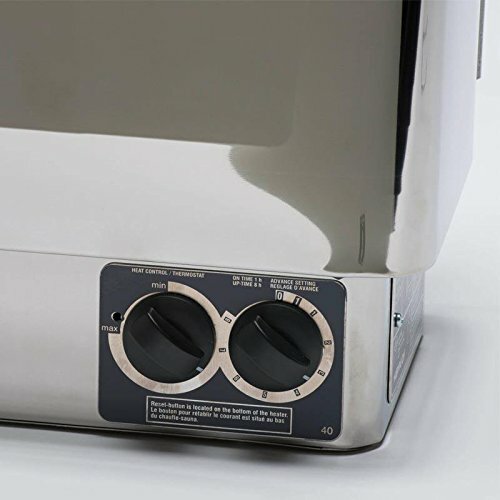 It comes with a superior 6.0kw Finnish-style heater that requires 220V/30 Amp service, and a 110v plug-in LED interior light may be included. You’re going to appreciate the craftsmanship and quality materials every time you enjoy your sauna. 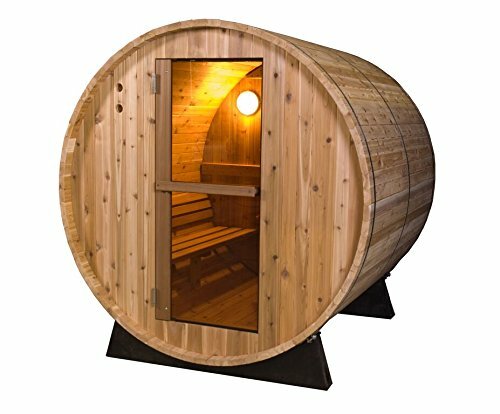 Your investment in a healthy way of life is backed by the most efficient sauna warranty to be had, and Almost Heaven Saunas has a nearly 40-year reputation for exceptional quality cooperage-style saunas. Plus, we are a West Virginia company, insuring that your sauna is built by a 100% American company! ***Sauna features might differ from the ones depicted. 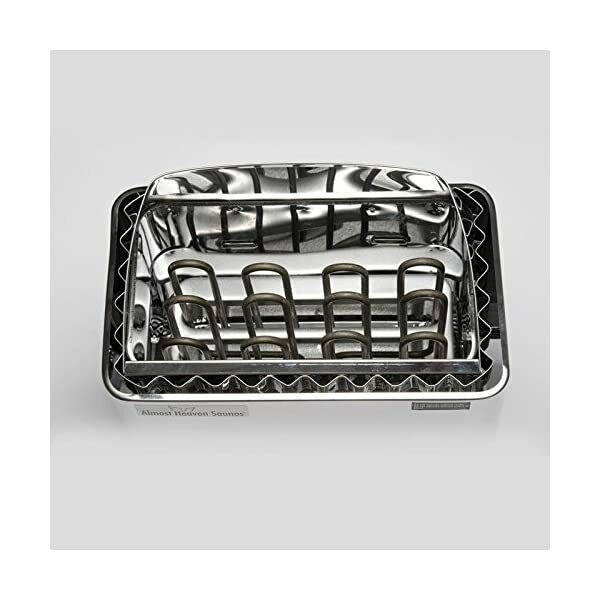 *** Product dimensions: 72″L x 72″W x 77″H.